Managing a toy company, albeit a fictitious one, was serious business for eight INTI International University students who qualified for the 2013 Global Business Challenge – Country Level organized by the Chartered Institute of Management Accountants (CIMA) in partnership with Barclays. Wong Jun Yuen, Teh Kok Long, Tay Sze Ying, Tan Pei Wen, Saule Bakambekova, Vera Yanti, Eyo Boon Thean and Yuvaneshwarran a/l Chandiran made up two teams that will represent INTI at the final stage of the business competition in May 2013. The teams outdid more than 20 others from education institutions across Malaysia in analyzing the operational and management issues faced by Jot, a fictitious company that designs and distributes toys across Europe, which was the focused industry in the case study. (L to R, seated) Vera Yanti, Teh Kok Long, Tay Sze Ying, Saule Bakambekova, Tan Pei Wen. (L to R, standing) Eyo Boon Thean, Yuvaneshwarran Chandiran, Wong Jun Yuen. “Case study is not new to us. At INTI, we have been exposed to problem-based learning that has helped us develop our analytical and critical thinking skills. We were able to apply our skills to succeed in the Jot Toy Case Study,” said Yuvaneshwarran, team leader of Wizard VYES. The students were required to prepare a 3,000-word report to discuss Jot’s key issues in operations and marketing, and propose feasible measures to address these issues. When asked how they prepared for the elimination round, Managenius team leader Jun Yuen shared that they had to read about the operations and marketing practices of real toy companies. “We had to compare the different organizational practices in the toy industry and analyze how we could adapt those practices to resolve key issues in Jot,” said Wong. “We are proud to have two strong teams to represent INTI at the 2013 CIMA Global Business Challenge – Country Level. Their case study reports are indication of the students’ commendable level of knowledge in various aspects of business management,” said Grace Morris, Head of Accounting and Accountancy Programme at INTI International University. Aside from lectures, many initiatives are in place to help INTI’s students build up competencies through innovative learning. 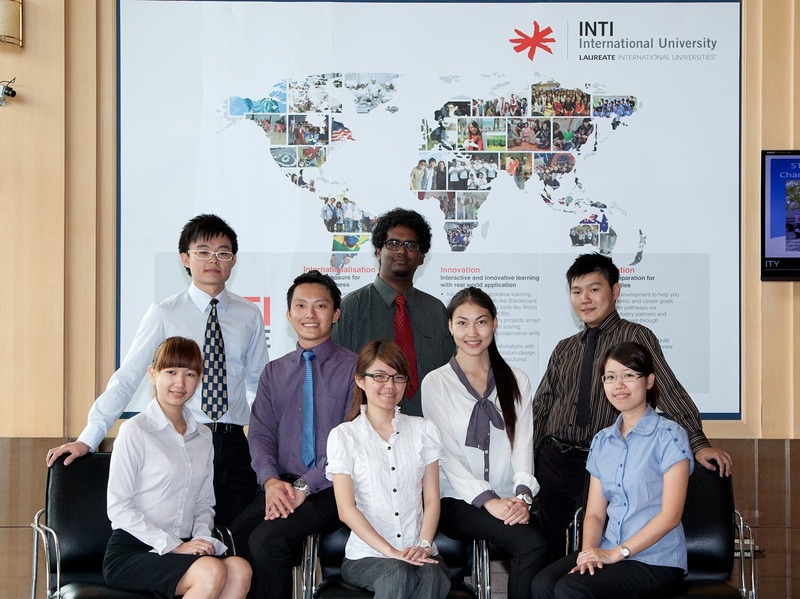 INTI’s students have undertaken 125 innovative projects in the past year in collaboration with industry partners. Real employer projects ranging from “Ways of doing business and how to setup a company in Myanmar” to “Development of a research book that identifies the changes shaping Malaysia’s marketing landscape and consumer behavior trends” were introduced in the classroom to help students develop problem solving, collaboration, communication and critical thinking skills. Such projects serve as an inspiring component of higher education and are expected to play an increasingly important role in teaching and learning for years to come. INTI will compete with three other teams from private universities in the Final Stage of the 2013 CIMA Global Business Challenge (Country Level). At the country level stage, competing teams are required to present a two-page synopsis of their case study reports, produce a two-minute video about their teams and CIMA, and do a 30-minute oral presentation of their reports including question and answer session with the judges. The winning team will represent Malaysia at the Global Business Challenge in South Africa in August 2013. For more information on the 2013 CIMA Global Business Challenge – Country Level, please contact INTI’s Faculty of Business, Communications and Law at (06) 798 2000.